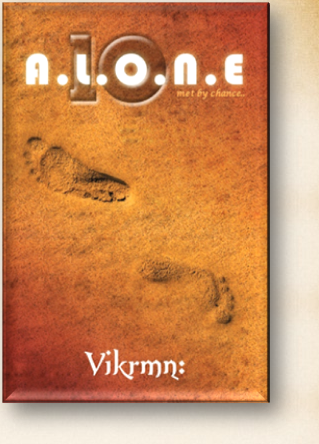 10 Alone : My friend screws Hindi / Punjabi language so amazingly.. Ten Alone : a saga of 10 friends.. 10 Chartered Accountants..
10 Alone : My friend screws Hindi / Punjabi language so amazingly..
We all have at least one friend who doesn't know Punjabi/Hindi language but it sounds so sweeet though s/he screws the grammar and genders while speaking. Do YOU have one such pal? 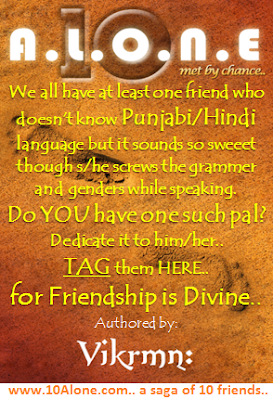 Dedicate it to him/her..
TAG them HERE.. for Friendship is Divine..